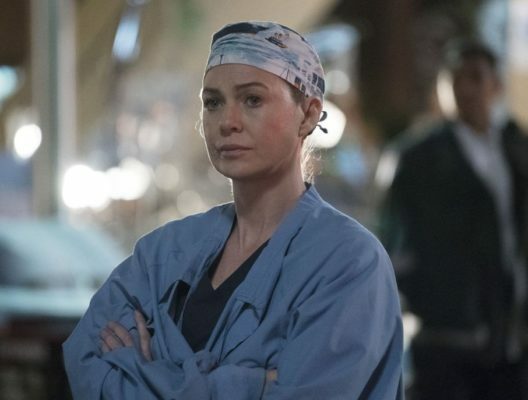 Grey’s Anatomy isn’t losing its namesake anytime soon. Recently, Ellen Pompeo told Deadline she has signed on for two more seasons of the ABC TV show. Pompeo has played Dr. Meredith Grey since the medical drama premiered in 2005. The cast also includes Justin Chambers, Chandra Wilson, James Pickens Jr., Kevin McKidd, Jessica Capshaw, Sarah Drew, Jesse Williams, Caterina Scorsone, Camilla Luddington, Kelly McCreary, Jason George, and Martin Henderson. What do you think? Do you watch Grey’s Anatomy? When do you think the show should end? I love the show and I’m not ready for it to end… I hate when the season ends and get excited when the new season starts!!! Keep going! I have been watching for-ever. I think it is time to wrap it up. I’ve said this before: if “Grey’s Anatomy” really does lose its namesake, the show should end. What’s the point in continuing “GA” without Ellen Pompeo? No title character, no show. It’s good that Ms. Pompeo decided to renew her contract for “GA”, even if it means surpassing “ER”.